This may not look very creative but it has occupied much of my time over the last 6 years. and whilst I didn't bind the book I did write every single word inside it. 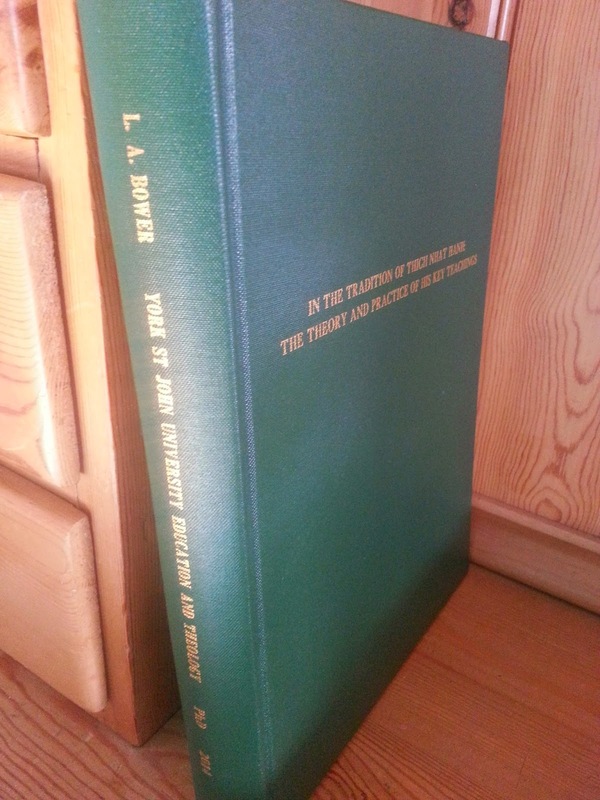 Finally, my Ph.D. thesis is complete and I have my own hard-bound copy! Next step is to try and get it published. The title is 'In the Tradition of Thich Nhat Hanh: the Theory and Practice of his Key Teachings'. Very relieved to have got it to this stage.